November saw Condor undertake 2 projects at opposite ends of the country with their unique innovative pile saw set up. Back to back projects were carried out in Northfleet, Kent and Ashton Under Lyne, Greater Manchester. 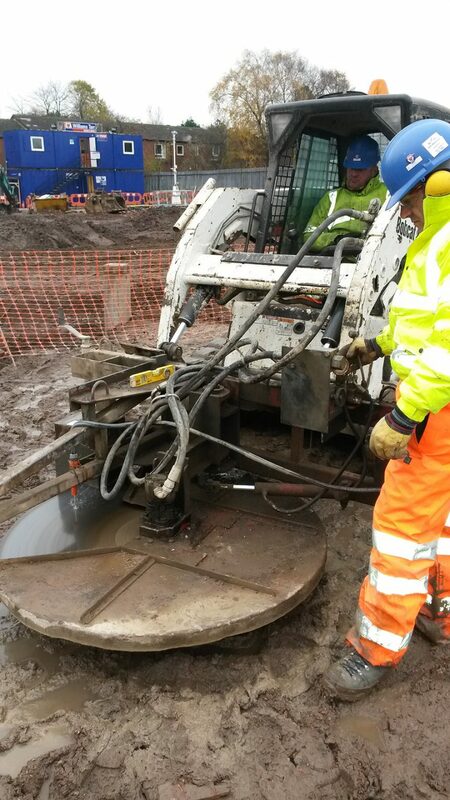 In total over 1000 piles were quickly and precisely cut achieving rates of over 80 piles per day. Given the design of the equipment it was easily transportable and carried out to client’s requirements. For further details of this unique service contact Simon Shaw on 01482 3255.